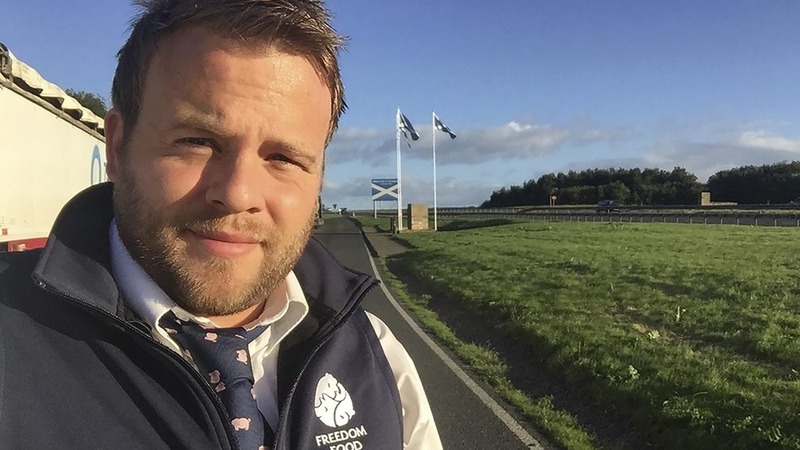 Mark Robertson, 27, is an RSPCA Assured assessor after moving from his previous job as a livestock unit manager managing a pig unit, 200 sheep, a turkey fl ock and some Highland cattle. He rents two hectares (five acres) of land for his five pedigree Southdown sheep. Experience: At 27 I am the youngest RSPCA Assured assessor. I joined RSPCA Assured in January 2016 after previously being a livestock unit manager at Easton and Otley College, where I managed a pig unit, 200 sheep, a turkey flock, chickens and some Highland cattle. I also used to milk and look after some of the arable operations there. Having had practical experience in all these areas prepared me well to become an RSPCA Assured assessor. Now well into my second year, I have audited nearly 200 RSPCA Assured farms from as far north as Moray in north Scotland and as far south as Sussex. Challenge: I currently assess compliance with the RSPCA standards for pigs, turkeys, hatcheries, transport and abattoirs. Going forward I will be adding other farmed animal species to my repertoire. What species I look at, and how many farms I assess, depends on location, biosecurity requirements and which farms are due their next assessment. Pigs: Last week I audited eight pig farms in Scotland – starting off on outdoor breeding units then working my way down the biosecurity chain to indoor finishing pigs. Next week I will be assessing local indoor pig finishing farms in East Anglia. Pig farms vary in size and type as you go across the country. East Anglia is mainly outdoor breeding and finishing scrape through systems and then as you drive north to Yorkshire you come across more straw yard deep litter systems. It is fascinating to see so many different ways of raising pigs, but all while meeting the RSPCA welfare standards. This week I am taking a break from visiting farms and heading to the Turkey Science and Production Conference. It is vital to keep up-to-date with latest industry thinking and discover what new advances and challenges could be on the horizon. Going to events such as these also gives the industry a familiar face from RSPCA Assured they can talk to and ask questions. Hobby: Just before joining RSPCA Assured, I bought five pedigree Southdown sheep for my mum’s 50th birthday. My mum had no previous experience with livestock, so this gave me a chance to teach someone from scratch the lifecycle of sheep, how to keep them healthy and well and so much more. We have even started showing our sheep as a hobby. Doing my job allows me to have day-to-day interaction with hundreds of thousands of animals and help improve their welfare, while looking after my own small flock of sheep on rented land at home in Norfolk. For me it is the best of both worlds.